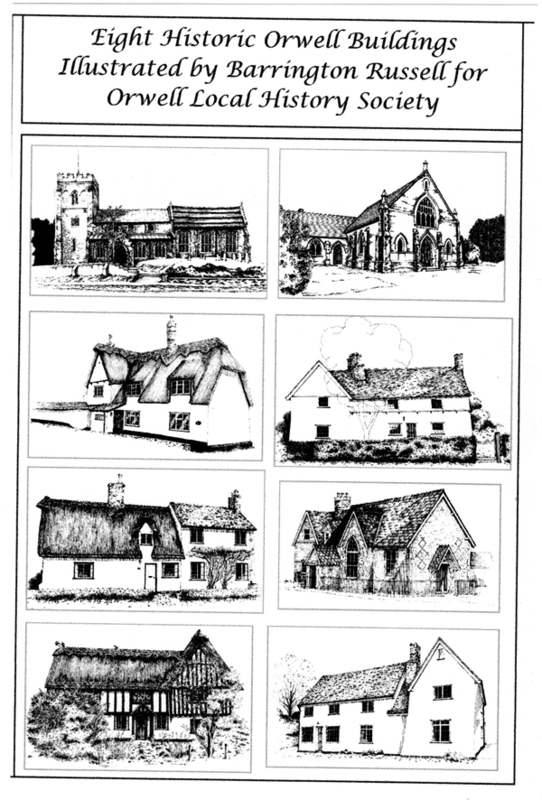 Barrington (Barry) Russell prepared these drawings at the request of our local history society, Orwell Past & Present. They are presented here in the format of a slideshow - just wait and watch and the pictures will run through on a "loop". These drawings are now available as cards or notelets at £2 for a set of eight, or 30p each, and will be available at the Orwell Past & Present Coffee morning at Lordship Community Room on Saturday 16th November. Where appropriate, linkages have been set up to allow you to quickly move to other pages within the site which contain more detailed information which you may find of interest. This page was added by Martin Grigor on 26/06/2013.